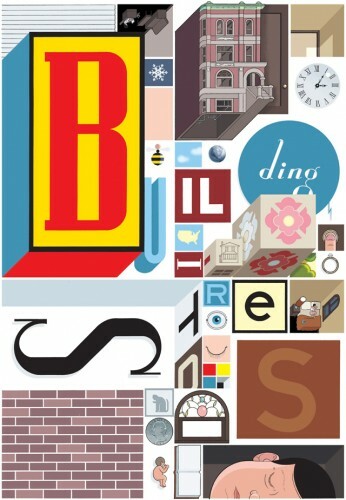 Sarah Weissman, Fiction Editor: Building Stories, a beautiful collection of graphic novels by Chris Ware. Matt Borondy, Editor/Publisher: Still catching up on last month’s list but also reading Jared Diamond’s forthcoming The World Until Yesterday: What Can We Learn from Traditional Societies? Anna-Lynne Williams, Music Editor: A Man Without A Country by Kurt Vonnegut. Jullianne Ballou, Assistant Editor: A Prayer for Owen Meany by John Irving and I Want to Show You More by Jamie Quatro, to be published March 2013. James Warner, Fiction Editor: The Liminal People by Ayize Jama-Everett, Iron by Zarina Zabrisky, All Fires the Fire by Julio Cortazar. Hilarie Ashton, Assistant Editor: Aerogrammes by Tania James, Quarantine by Rahul Mehta, The Chaperone by Laura Moriarty, Information Visualization: Perception for Design (Interactive Technologies) by Colin Ware. Just got Paul Auster’s Winter Journal, and will probably drop all others until I’m done with it. Jennifer Cochran, Poetry Editor: Walter Benjamin’s Illuminations, Czeslaw Milosz’s The Captive Mind and Jorie Graham’s PLACE. Posted in What We're Reading and tagged John Irving, Kurt Vonnegut, Laura Moriarty, The Baffler. Bookmark the permalink. Trackbacks are closed, but you can post a comment.